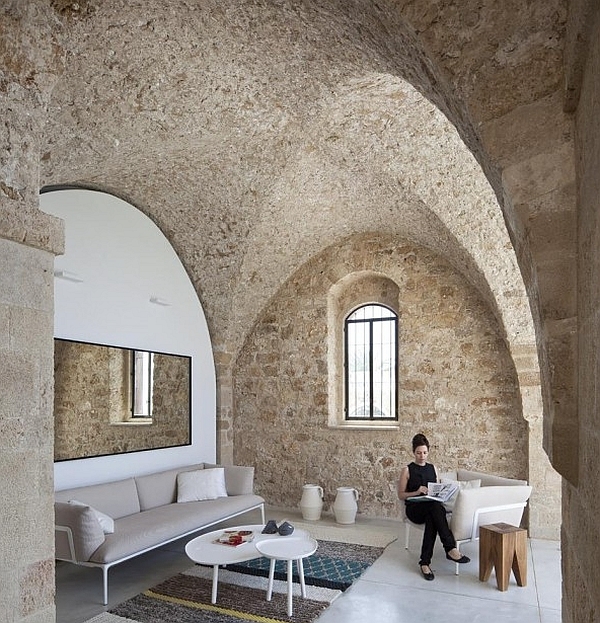 Simplicity and minimalism are popular themes among young homeowners who wish to live in homes that are as ergonomic as possible. 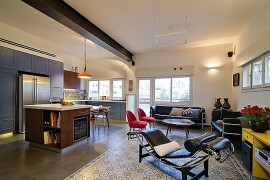 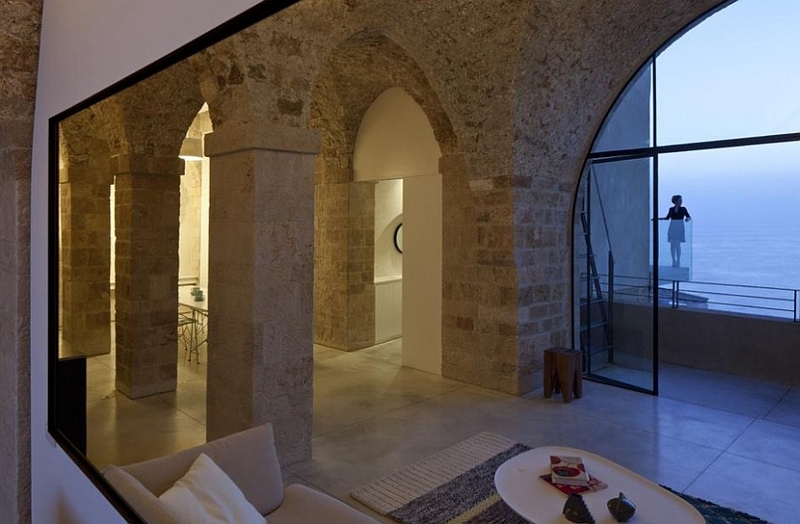 But this brilliant apartment in Jaffa’s Old City in Tel Aviv, Israel captures your attention with the seamless integration of contemporary design with the historic past of the building. 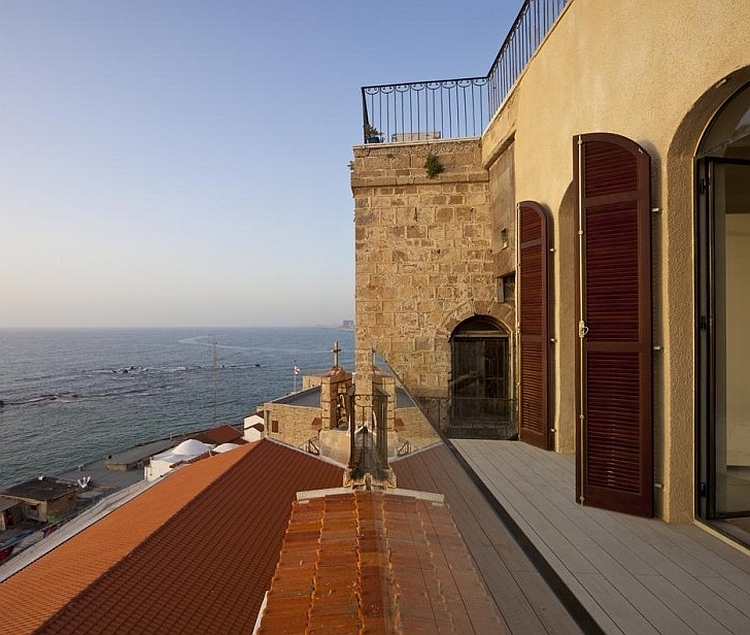 The Old City of Jaffa is a maze of streets that has changed little over the last few centuries and is home to some of the best heritage structures in the region. 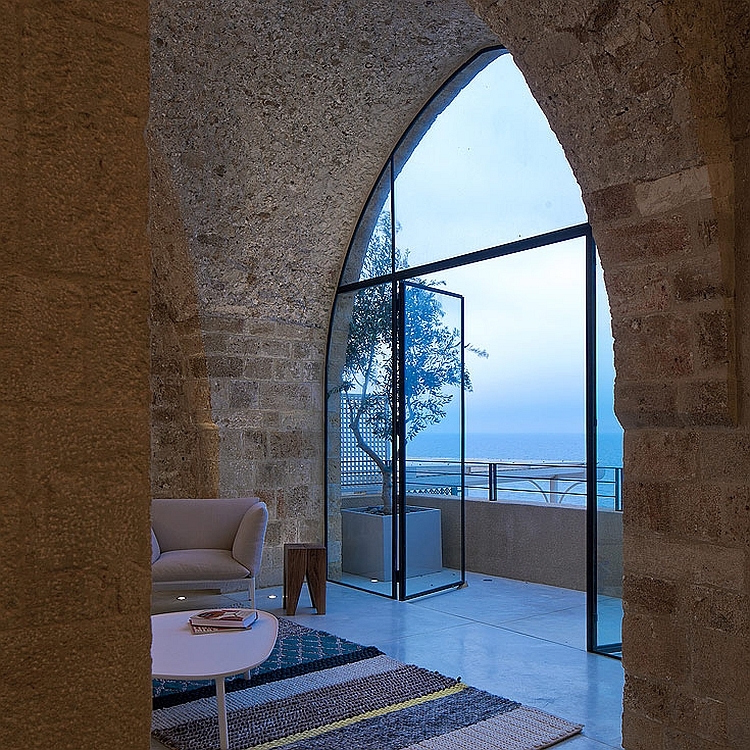 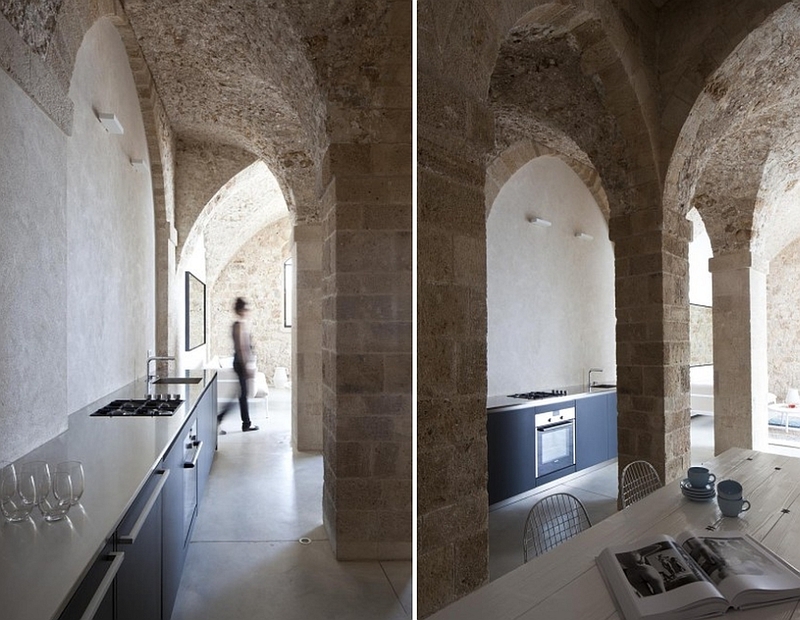 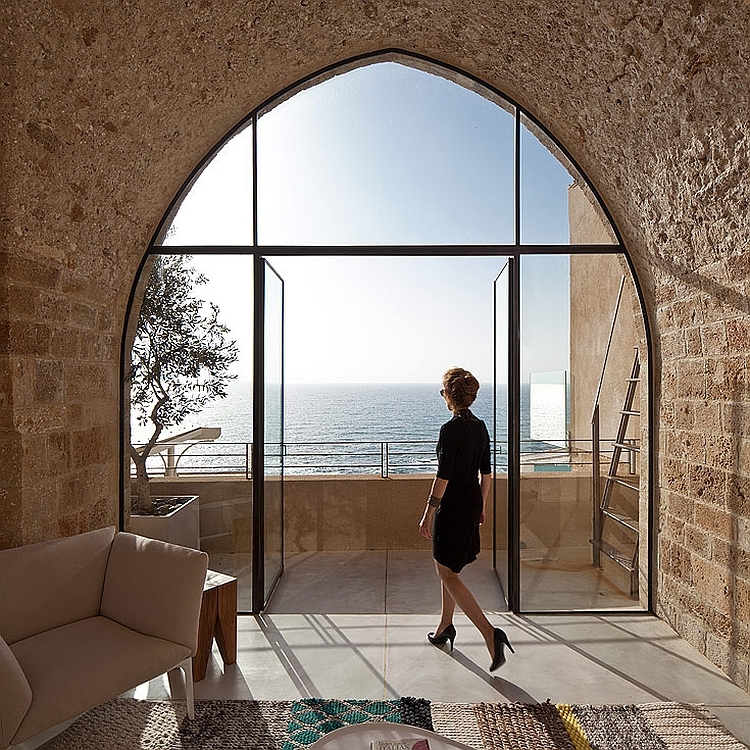 Taking advantage of the rich past, architects from Pitsou Kedem have transformed the classic archways and stone walls of this gorgeous apartment into a lovely minimal home. 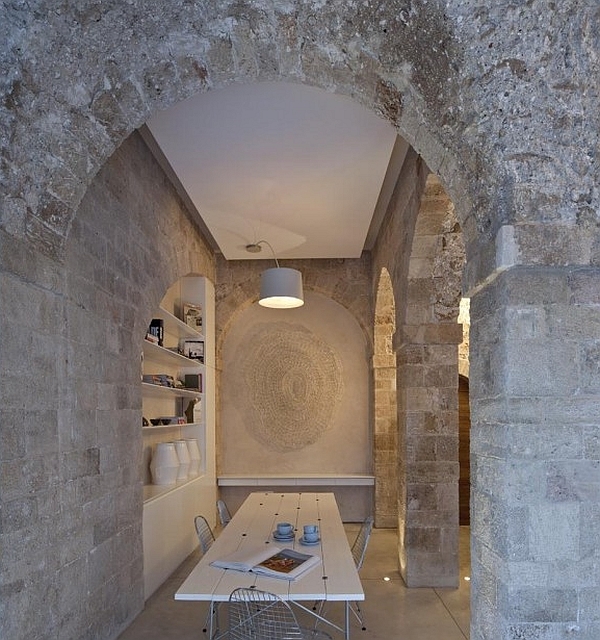 The beautiful walls, segmented ceilings and arches instantly give you a feeling that you have stepped back in time. 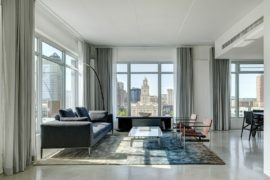 Yet, the modern additions of the apartment include stylish decor, white walls and plush accessories that combine comfort with class. 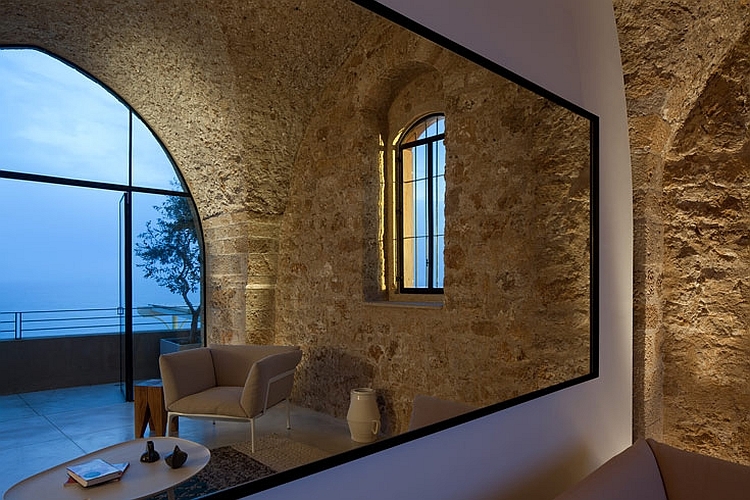 The combination of textures and varying geometric shapes truly give the interior an inimitable appeal of its own. 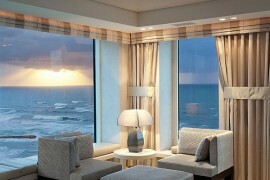 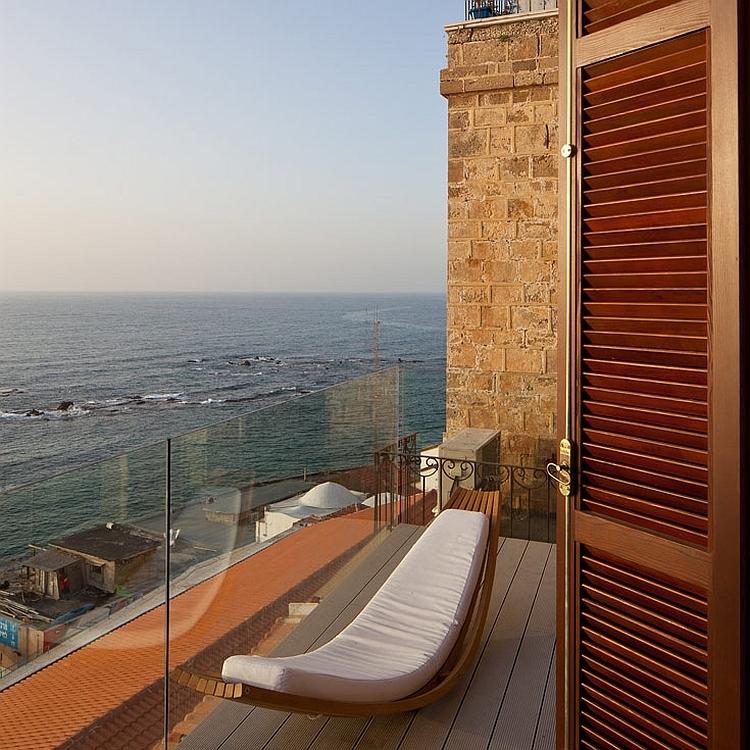 Add to this the compelling and majestic views of the Mediterranean Sea and you have a cool urban loft that leaves you spellbound. 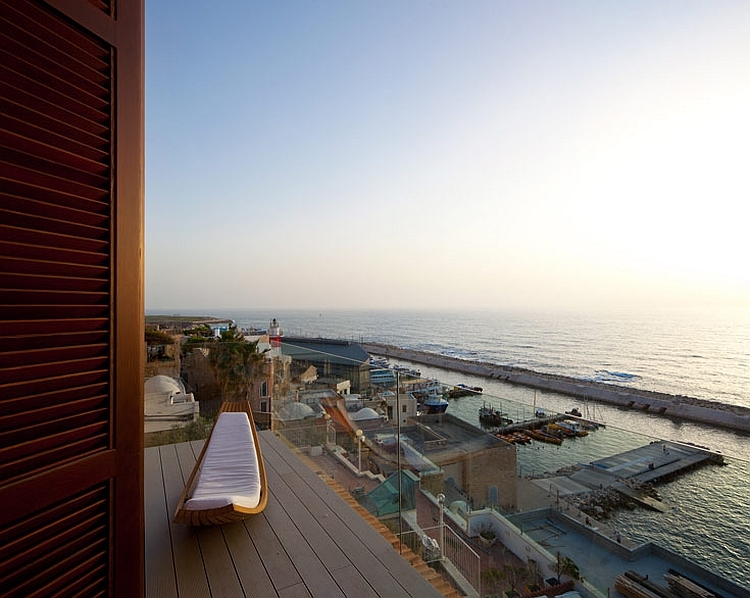 The open views of the sea on the west also provide some dreamy evenings and romantic sunsets that can be enjoyed from the wooden terrace. 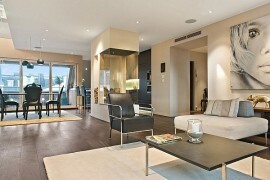 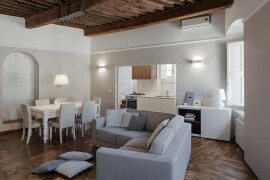 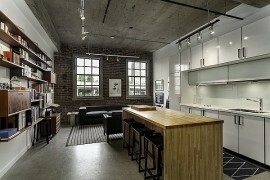 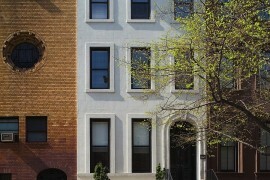 An open floor plan visually links the dining and kitchen areas with the living room and the balcony. 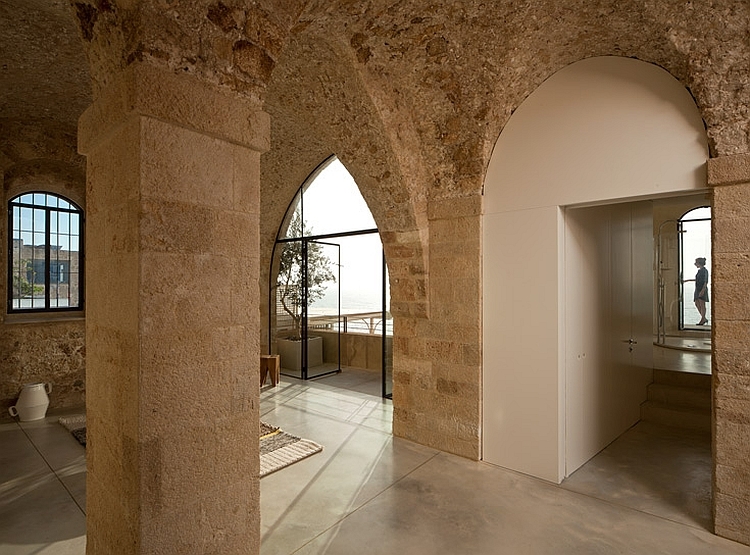 Featuring a single bedroom and bath, the project is all about honoring and preserving the past even as you look ahead to the future… An idea that we hope is adopted by many more designers across the globe.